Planimeter on Android: improved UI with new drawer menu. 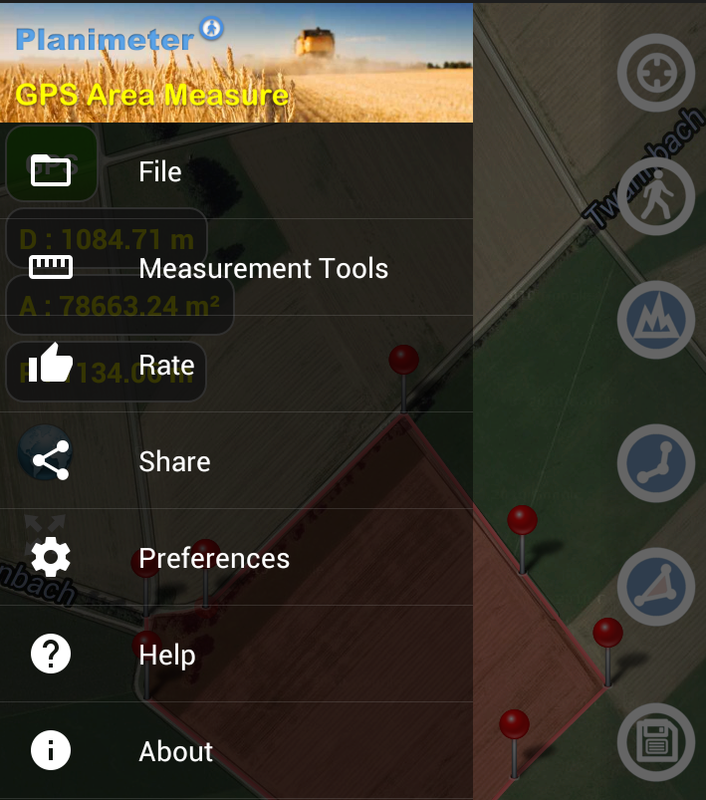 Our Android app for GPS tracking and distance/area measurements on Google Maps, Planimeter, has been updated with improvements to option menu. As been mentioned before some users had problems finding option menu on Samsung devices. Now this problem has been resolved with drawer menu that can be reached as before by touching menu button or by swiping from the left edge of the screen. Version 3.8.4 is available on Google Play.